Thursday was offense day for post-practice media availability, but Coach Mike Riley stepped up to the table prior to offensive coordinator Danny Langsdorf to share some injury news. Freshman wide receiver Jaevon McQuitty, who enrolled early but dealt with a shoulder injury that limited him during spring ball, suffered a knee injury and will miss the 2017 season. “We were doing a little blocking deal the other day and Jaevon McQuitty hurt his knee and will need surgery, so he will be out for the year,” Riley said. McQuitty wasn’t the only player — or even receiver — who was absent from the field during Thursday’s open practice as junior Keyan Williams and redshirt freshman J.D. Spielman both sat out with pulled muscles. “We’re missing a couple slot backs too, Keyan Williams and J.D. Spielman … I think J.D. is day-to-day and Keyan is probably two weeks away — he had a good hamstring pull,” Riley said. 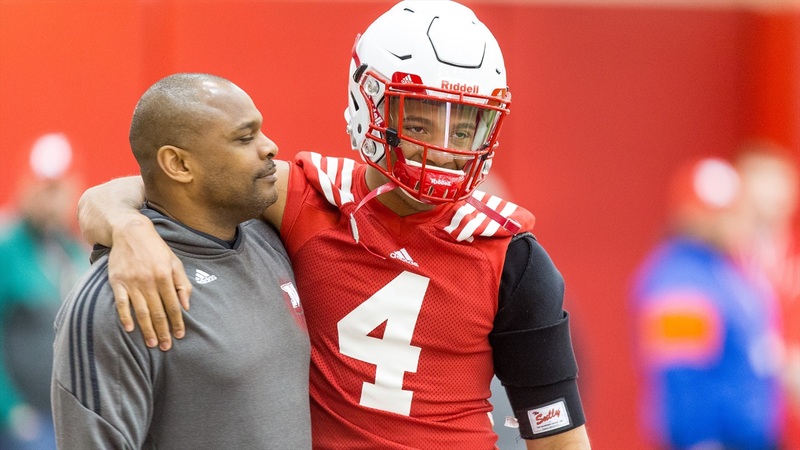 Injuries at the wide receiver position during camp is nothing new for Nebraska, and Riley said the coaches made some call-ups to the fall 105-man practice roster to make up for the losses of McQuitty, Spielman and Williams. The injuries were not limited to the wideout position, however, as sophomore running back Tre Bryant was given a day off to rest his knee. Stay tuned for more updates from Thursday’s practice.